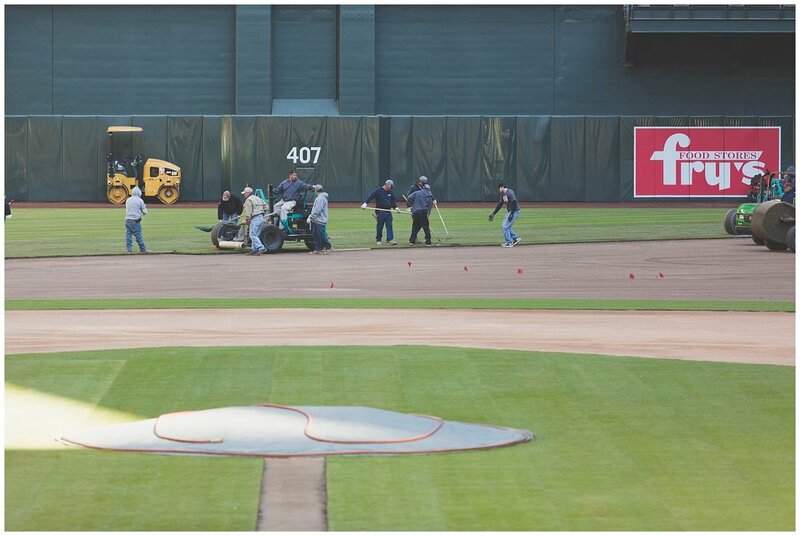 Phoenix, AZ—The Arizona Diamondbacks installed Platinum T.E--a new variety of natural turfgrass sod--at Chase Field late last month in preparation for the 2018 season. Platinum T.E. can also be found on the World Series Champions Houston Astros field, Atlanta Braves field, and the Florida Marlins field. 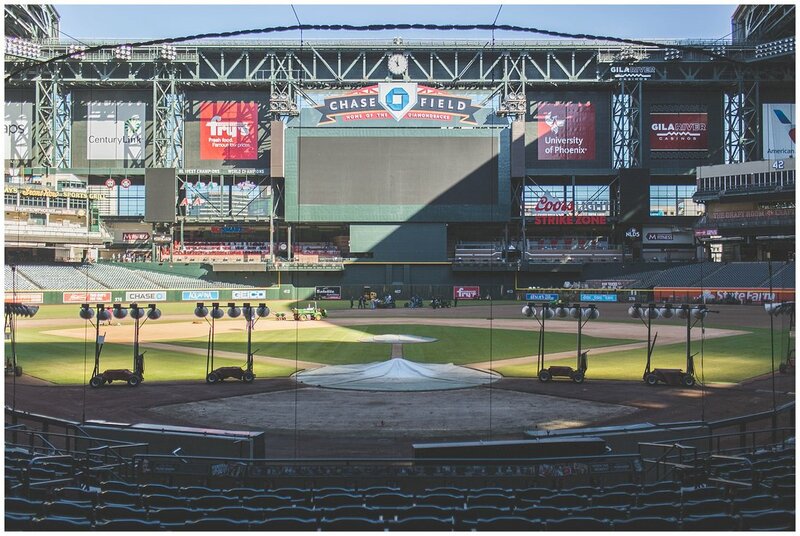 Platinum was chosen after it was installed in the infield and arch during the All-Star break last season at Chase Field. D-backs heads groundskeeper, Grant Trenbeath, was so impressed with the performance of the grass that he decided to make the change. “The Platinum has a shorter dormancy period than the bermuda so we were able to have it installed without the usual ryegrass overseed. It will be a huge advantage that we won’t have to go through the transition period from rye to bermuda during the season for the first time,” said Trenbeath. The new sod was grown and installed by West Coast Turf (WCT), who also provides turfgrass for the Los Angeles Angels of Anaheim, Los Angeles Dodgers, San Francisco Giants, Oakland Athletics, San Diego Padres, and numerous MLB spring training facilities. “It is an environmentally friendly grass requiring 1/3 of the nitrogen fertility than bermuda, and uses less water,” Marman said. West Coast Turf (and sister company Western Sod) is a full-service sod, stolonization, and hydroseeding company with offices and farms throughout Arizona and California. 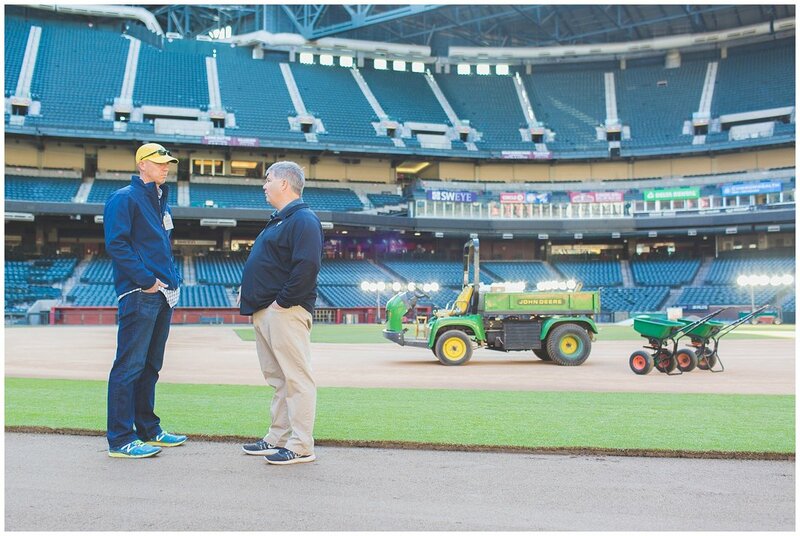 West Coast Turf grows more than 30 varieties of natural turfgrass and has been the “Official Turfgrass of the Arizona Diamondbacks and Chase Field” since the inaugural season in 1998. West Coast Turf has also been the grower and installer for an unprecedented 8 Super Bowls from California to Florida.